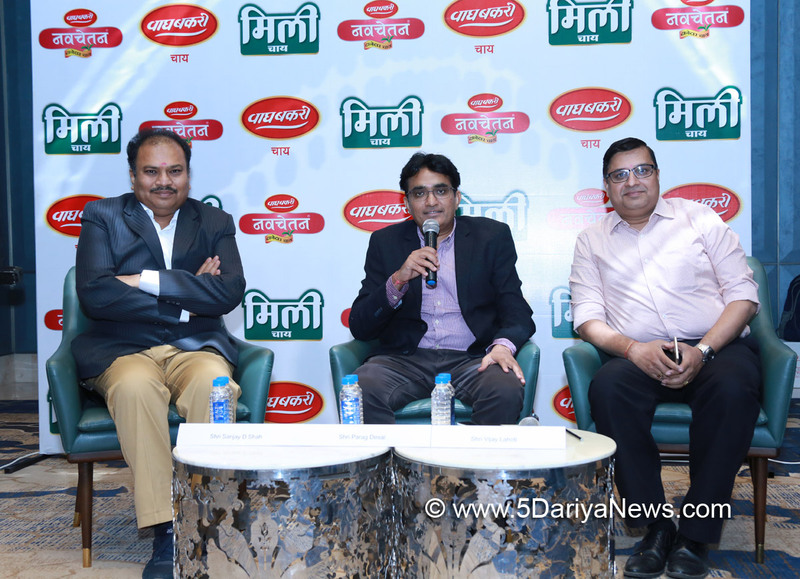 Wagh Bakri Tea Group has launched a new TVC to promote ‘Mili’ Tea. In the latest ‘Mili’ TVC SakshiTanwar, the brand ambassador tactfully conveys the message of woman empowerment through an effective punchline ‘Peeoge jab, toh Janoge’. In the TVC a buyer opts for Mili Tea after being assured by Sakshi in her unique accent, about the key benefits such as assured quality, more cuppage and a budget friendly product in a convincing manner. Wagh Bakri Tea Group, India’s 3rd largest tea company is celebrating 20 years of presence in M.P. market. On this occasion Executive Directors, Mr Parag Desai and Mr Paras Desai are in Indore to meet and felicitate distributors. Wagh Bakri Tea is the largest selling tea from Wagh Bakri Tea Group followed by Mili. Wagh Bakri and Mili teas are available at approximately 17,000 outlets in 51 districts of Madhya Pradesh. It is noteworthy that the market share of Wagh Bakri tea is steadily growing in Madhya Pradesh. On this occasion Mr Parag Desai, Executive Director, Wagh Bakri Tea Group said, “We are thankful to tea lovers of Madhya Pradesh that they have made Wagh Bakri and Mili teas and the most preferred quality tea brand in the state”. Adding to this, Mr Paras Desai, Executive Director, Wagh Bakri Tea Group said that, “M.P. tea lovers are very particular about their choice of tea and we are happy to fulfil their expectations by offering M.P. specific blends. M.P. is an evolving market and we are getting encouraging response for our other products as well, which includes iced tea, instant tea and green teas”. The Tea Group has won several accolades by adopting innovative marketing, branding and packaging strategies. One of the most significant achievement has been the ‘Family Business Legacy Award’ given by the then President of India Shri Pranab Mukherjee in presence of the Prime Minister Shri Narendra Modi to Wagh Bakri Tea Group in the year 2017. Other noteworthy achievements include the INDIASTAR 2017 Packaging Award instituted by IIP (Indian Institute of Packaging).